The all-in-one, take-anywhere package to help you feed regularly from God's word. Time to get back into regular Bible reading? 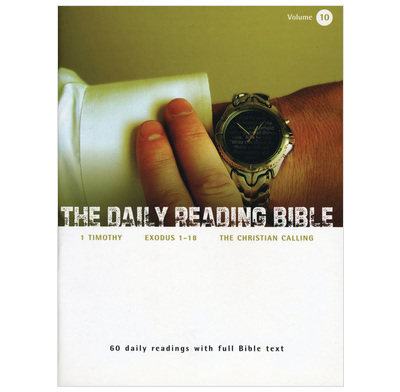 The Daily Reading Bible has everything you need to get started, and in one compact, portable package. I'm a big fan of the daily bible reading series. They provide questions that are generally very helpful for guiding you in understanding a passage. I appreciate being given only questions as it forces me to focus on the passage and rely on the holy spirit for understanding rather than just reading an explanation. The passages are an adequate length for a short quiet time and the small, compact size is very convenient.